Culver City, CA (January 11, 2010) -- Peter Parker is going back to high school when the next Spider-Man hits theaters in the summer of 2012. “A decade ago we set out on this journey with Sam Raimi and Tobey Maguire and together we made three Spider-Man films that set a new bar for the genre. When we began, no one ever imagined that we would make history at the box-office and now we have a rare opportunity to make history once again with this franchise. Peter Parker as an ordinary young adult grappling with extraordinary powers has always been the foundation that has made this character so timeless and compelling for generations of fans. We’re very excited about the creative possibilities that come from returning to Peter's roots and we look forward to working once again with Marvel Studios, Avi Arad and Laura Ziskin on this new beginning,” said Amy Pascal, co-chairman of Sony Pictures Entertainment. I hope this doesn't mean the hole in Maguire's schedule will be filled playing Bilbo Baggins. He's a talented actor and I really liked his Peter Parker, but seeing him with hairy feet next Gandalf isn't something I look forward to. Raimi could move on to "World of Warcraft" which many thought was just a producing project for him. Now, the whole reboot comes into play with Spidey going back to high school and starting over. I don't mind that, but there is no need for an origin movie. We don't need to movie the story back to square one. It's been done and there is no need to show it to the two guys that don't know what happens when you get bit by a radioactive spider. Just start him off right after he's become the Webslinger and give him a new villain. I wonder if the rush to get a film on to screen has anything to do with Marvel (read Disney's) ability to regain the character for filming by the Mouse? I don't know how long they have to make another sequel between films before the rights would expire/revert back to the comic book company/film studio/subsidiary of the Mouse. I hope that the next version is done with as much care as Raimi put into the first two and as little studio interference as the Suits put into the third one. "I hope that the next version is done with as much care as Raimi put into the first two and as little studio interference as the Suits put into the third one." Without Raimi, Maguire, or Dunst, this film franchise is done. It was great filmmaking chemistry that I doubt will be replicated. Time for Sam to move on to something else. So now we have to watch a totally new actor play Peter Parker? Toby Maguire is spiderman, he turned into Spiderman in the first movie, why are they changing things? Excuse me while I go yawn....sounds boring to me. You really are shocked that they're changing actors? Really??? Time marches on. The only thing constant is change. "Time marches on. The only thing constant is change"
"Sean Connery - James Bond/007"
Yeah, but look how long we had to wait to get a great Bond like Daniel Craig? Thirty years? We had to suffer through Roger Moore and that awful Pierce Brosnan and his parody of 007. Worse than Moore's version in my opinion. How long will we have sucky Spider-Men? 2020? 2030? I don't know if I want to wait that long. At least it didn't take that long for Batman to go from Keaton to Bale. We'll know if the project is doomed if Joel Schumacher signs on as director. The franchise is 8 years old. It does not need a reboot. Stupid,stupid idea. It will fail. It's funny how the series hits a wall after the 3rd movie. That's pretty much the pattern. A trilogy here and there. I think a reboot (remake) is necessary to continue, but I agree it doesn't need to be a retelling of the same story. Start with something completely new after Peter is established as a superhero. Just don't do a "Superman Returns" when he fights the same villian, Lex Luther. I pretty much had it with lex luther (boring). No more Green Goblin. Suprising idea really. If they opnly wanted to get a film out to keep the rights (as you suggest) then a sequel was the obvious option. Therefore this is intended to be a franchise and would shut out Disney for a long time. I feel bad that part of me would kinda like this to flop so that Marvel can get hold of him. Odd that both Spiderman and X-Men are getting reboots (and prequels) focusing back on the teenage years of the characters. I guess this is part so because of the Harry Potter\Twilight factor? Replacing the entire cast and going back to the teenage years? 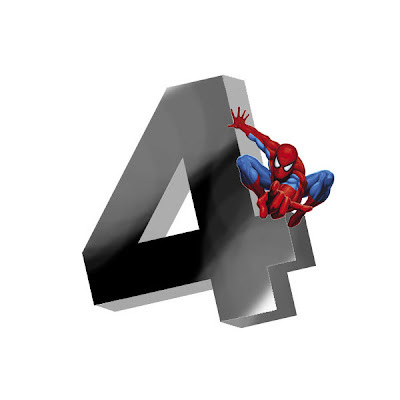 How is this a Spiderman 4. Stupid idea. I will not be seeing this movie. Now all Disney needs to do is fire Johnny Depp and reboot Pirates and recast Jack Sparrow, Elizabeth Swan and Will Turner, and Barbosa. This makes as much sense as Halloween 3 Season of the Witch. But Hunter had a great point, I totally thought as I read the press release from Sony that this was an attempt to lock up the character away from Disney to produce in house. I would not be surprised to learn that Disney had plans to reboot the series on their own when the rights reverted back. This way Sony is pretty much calling dibs on the character for years to come. "Yeah, but look how long we had to wait to get a great Bond like Daniel Craig? Thirty years? We had to suffer through Roger Moore and that awful Pierce Brosnan and his parody of 007. Worse than Moore's version in my opinion." I've liked each James Bond for their own style. I thought that early Roger Moore was excellent for the time period that it was in (Even I have to agree, though, that "A View to a Kill" was one too many times to the well for Moore & "Moonraker" drips with so much sci-fi cheese that one expects Han Solo & Chewbacca to appear in the finale). Dalton was a slightly more dashing & rogue version of Craig's Bond. Unfortunately, he never had a chance to flesh out his character. Pierce Brosnan turned the dashing up to 11 with his Bond & it worked superbly. Had he been able to star in the Dalton Bonds, I think he would've been a lock for the modern-day standard for Bond. As is, I think he was a good Bond for his time. Do I hate Craig's Bond? No. I just don't think that he's brought anything original to the table. With word that he probably won't make a 3rd Bond, I really don't know what his legacy will be - Action Bond? The bond equivalent of Jason Bourne? Dalton v2.0 with the kung-fu grip? Siting Bonds you don't like, but that did really well in the Box Office and/or perpetuated a 40 years franchise kind of defeats the argument that they shouldn't change Spidey, doesn't it? Sounds like now that the first set of the Internet Generation is starting to get older, they're getting a little set in their ways. "I'm not gonna go see it cause they changed Spider-Man! Now, dagblast it, quit messing with my Victrola! Get off my lawn! I would have gotten away with it if it weren't for you meddling kids!" Look, it won't matter if they change the cast or not. It's Spider-Man. People will go see it. The only thing it needs to be to be successful, is good. Director, producer, studio, rabid internet fan ramblings won't mean a thing or have any effect on its success if it's a well made film. Just ask J.J. Abrams.